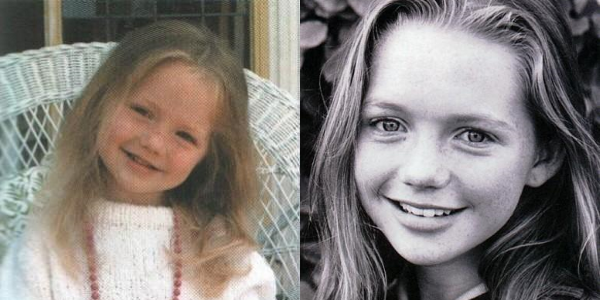 Hannah Louise Spearritt, the youngest of three children of Jenny and Michael Spearritt, was born on April 1st 1981 in Great Yarmouth, Norfolk, England. She has two siblings, Tanya and Stuart. Her career started early as at the age of three she modelled for a Mothercare catalogue. At school Hannah loved P.E. lessons and swimming, while running and tennis became her favourite hobbies. Her dream professions at that time were tennis player, fitness trainer, teacher or nurse. At the age of 12 Hannah landed a role in a local theatre production Annie, which started her interest in performing. A year later she successfully auditioned for the National Youth Music Theatre, where she met her best friend Sheridan Smith and future band mate and boyfriend Paul Cattermole. During 1994–1995 they were a part of Pendragon performing in New York and Hong Kong. Soon more roles followed: Tin Pan Ali in 1996, West End musical Bugsy Malone in 1997 and her first television role in The Cater Street Hangman. She also advertised holiday camps and cars (Mercedes Benz) and appeared in Blue Peter and the National Lottery Show. Around 1997 and 1998 ex-Spice Girls manager Simon Fuller was in the process of creating a new pop band. He held auditions for over 10,000 candidates and one of them was Hannah. In addition to Hannah, six other members were chosen to form the new group called S Club 7: Bradley McIntosh, Jo O’Meara, Jon Lee, Paul Cattermole, Rachel Stevens and Tina Barrett. The band shot to fame with their TV series Miami 7 in 1999. The show was followed by four studio albums (‘S Club’, ‘7’, ‘Sunshine’ and ‘Seeing Double’), 11 singles, tours, many more television series and a movie Seeing Double. In 2002 Paul decided to leave the group and they changed their name to S Club. Next April, after four succesful years, the band members decided it was time to move on and announced their split during a live performance. Jo O’Meara, Bradley McIntosh, Paul Cattermole and Tina Barrett have been touring as S Club 2/3/4 since October 2008 in various line-ups. In November 2014 S Club 7 reunited for a Children In Need performance. Following the success of it the band announced a reunion tour ‘Bring It All Back’, which took place in May 2015. They performed in sold-out arenas and also re-released their compilation album ‘BeSt: The Greatest Hits of S Club 7’. In 2003 Hannah landed a role in a film called Agent Cody Banks 2: Destination London, for which she had auditioned when S Club was still together. In the following years she also appeared in a horror film Seed Of Chucky and in BBC sitcom Blessed. In 2007 she was in an Agatha Christie television movie At Bertram’s Hotel where she played Tilly Rice. In addition to S Club 7, she is best known for her role as zoologist Abby in ITV hit series Primeval, which ran from 2007–2011. Read more about Primeval in the next chapter below. In 2013 Hannah joined her ex-Primeval cast mate Ben Miller in an episode of BBC’s Death in Paradise. In the same episode was also James Murray, another Primeval veteran. During 2013 and 2014 she worked with two films: The Goob and Utopia. They were released in 2014 and 2015/2016 respectively. In December 2015 it was announced that Hannah would join BBC’s Casualty as Mercedes Christie, a good girl gone bad. She appeared in nine episodes starting January 2016. In 2017 Hannah joined EastEnders for a guest stint as Kandice Taylor. Her two episodes aired in December 2017. She is to return to Albert Square soon. Hannah has also starred in various short films including the Little Lilly trilogy and Little Larry. In February 2006 it was announced that Hannah had landed a leading role in a new ITV series Primeval. Hannah played Abby Maitland, a zoologist who becomes a part of a special group who investigates mysterious anomalies, doorways to the past and future. The show got positive reviews from critics and also had international success. In May 2009, after three seasons, it was announced that the show would be cancelled due to financial issues. However, a few months later a deal between ITV, BBC Worldwide, Impossible Pictures and ProSieben was put into action and two more seasons were produced. 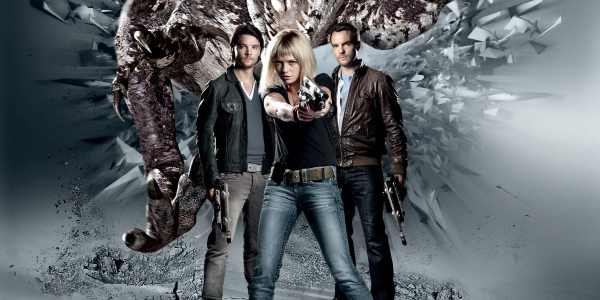 It also got a North American spin-off, Primeval: New World. Hannah’s theatre career began in 1995 when she had a role in Pendragon. During the following years she also played in Tin Pal Ali and Bugsy Malone. She returned to the stage in Snow! The Musical in 2005. Six years later, in 2011, she played Lady Frances in The Belle’s Stratagem. The play was last performed in the 1880s and got a positive reception from critics as well as from the public. The following year Hannah joined the cast of One Man, Two Guvnors. 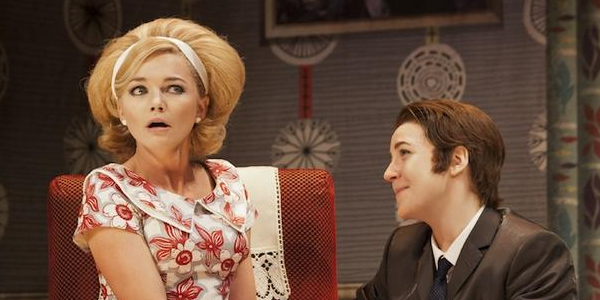 According to Telegraph, her role as Pauline is “one of the funniest and dumbest blondes it has been my privilege to encounter”. Her most recent theatre role is Poppy in The Armour, which was played at Langham Hotel in spring 2015.